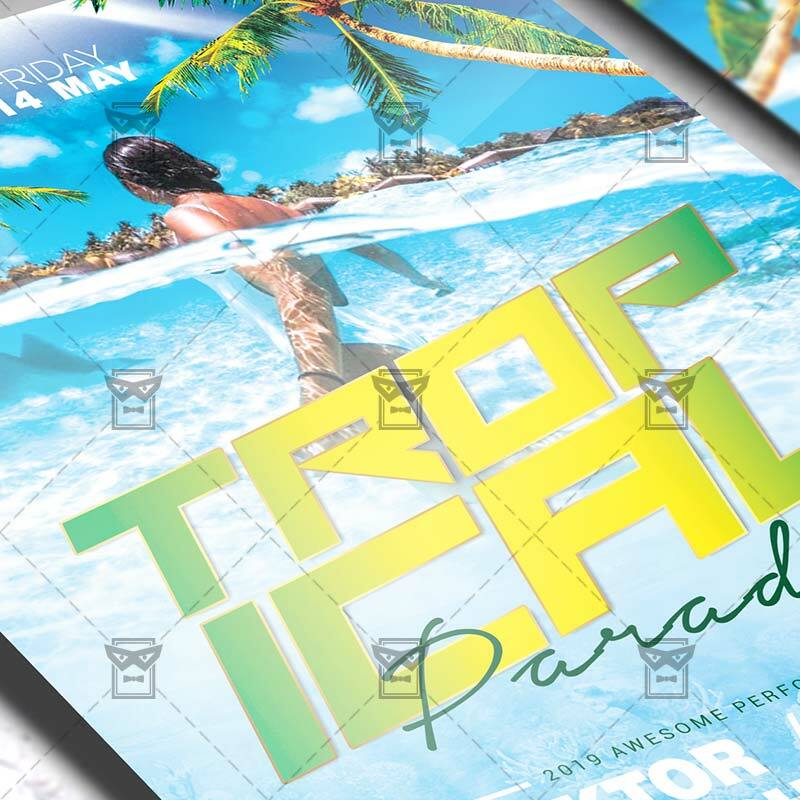 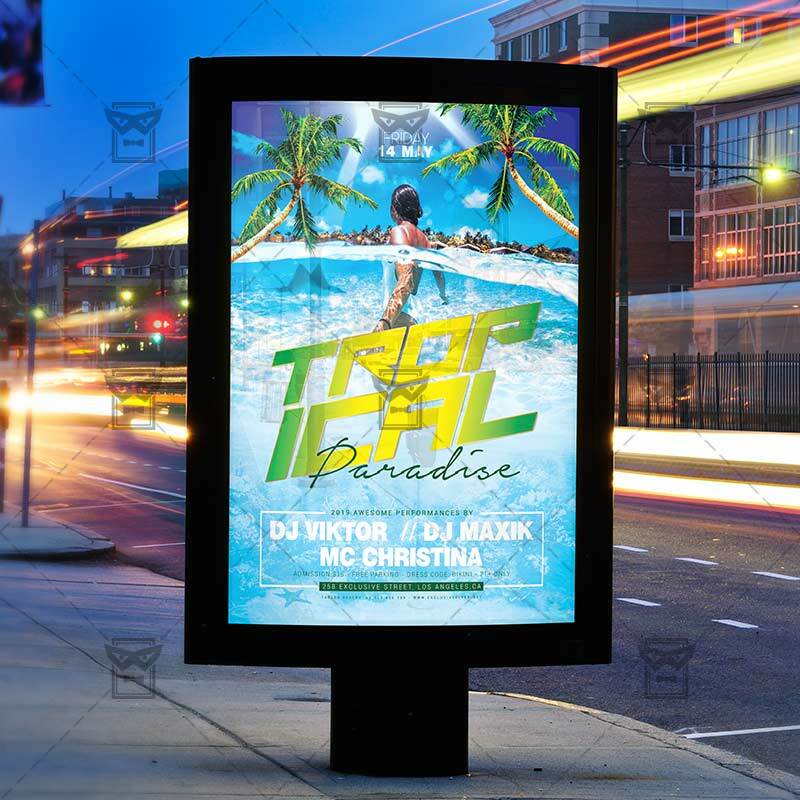 Tropical Paradise is an exclusive PSD flyer template for Adobe Photoshop designed by our best graphic designers to facilitate your task in promoting your business. 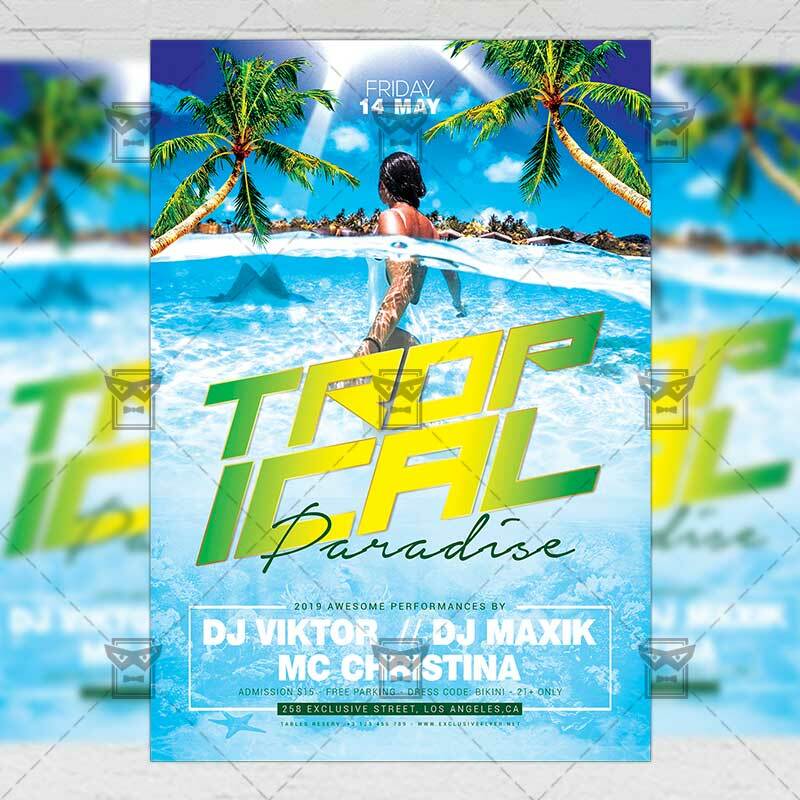 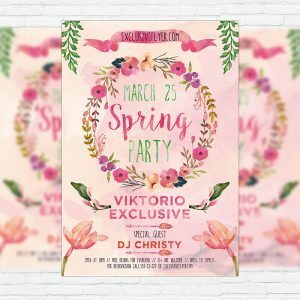 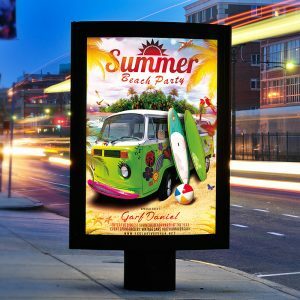 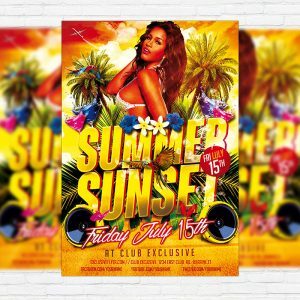 With our readymade Summer flyer in psd format you can invite you customers and guest to your event or to the best Pool Party, Tropical Party, Paradise Night, Poolside Brunch or Summer Party in their lives. 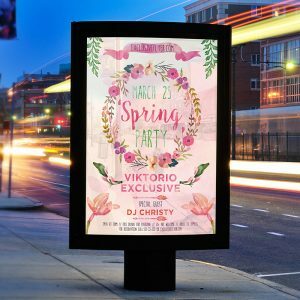 SKU: 0.2219. 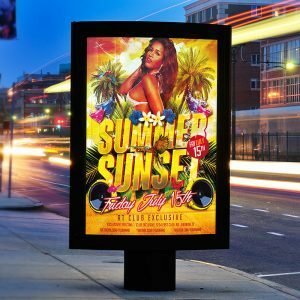 Categories: Seasonal Flyers, Summer Flyers.